5/ Twitter to let you un-dock and move the tweet compose button?! 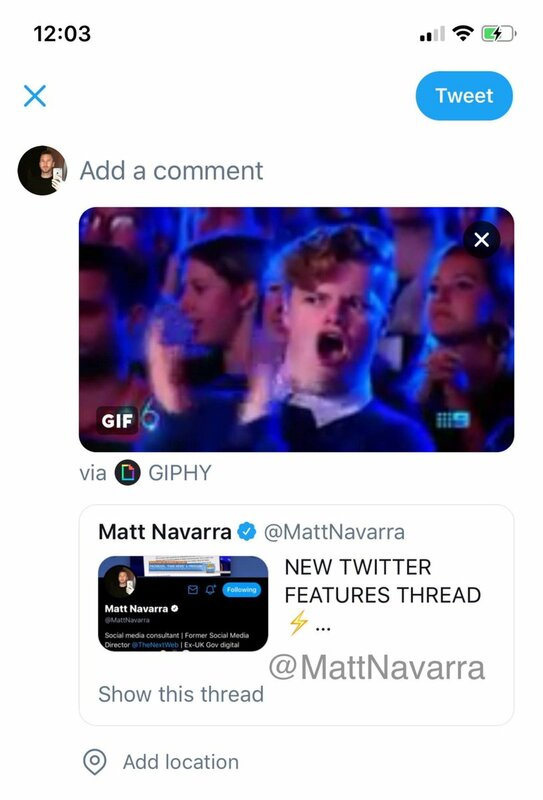 7/ Twitter is FINALLY testing a Retweet with GIF reaction button!! 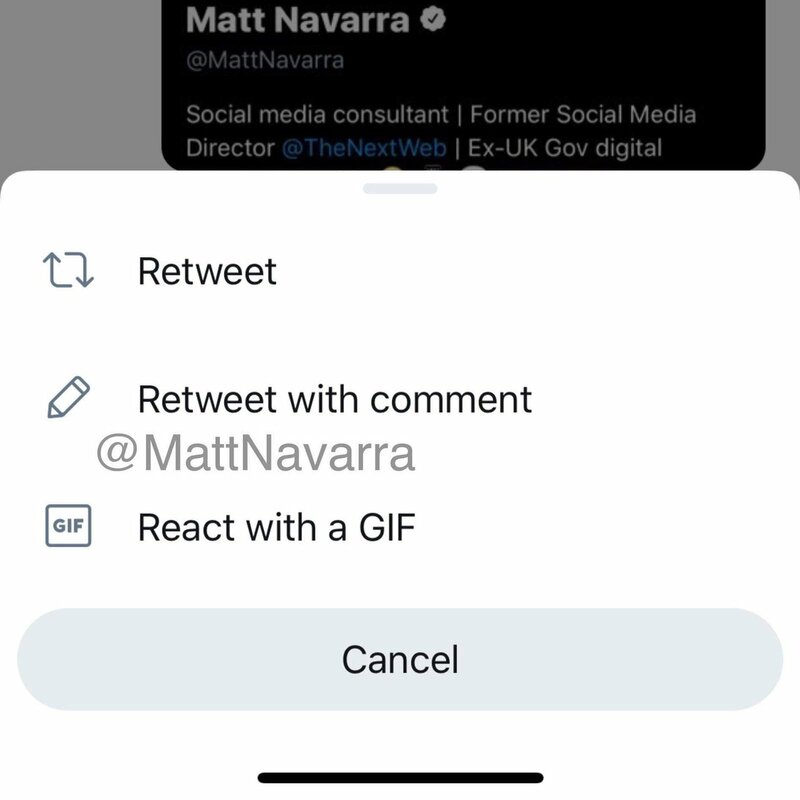 Let’s you select a tweet from your feed and place it into a new tweet to RT + comment OR into a DM to send on to someone privately.